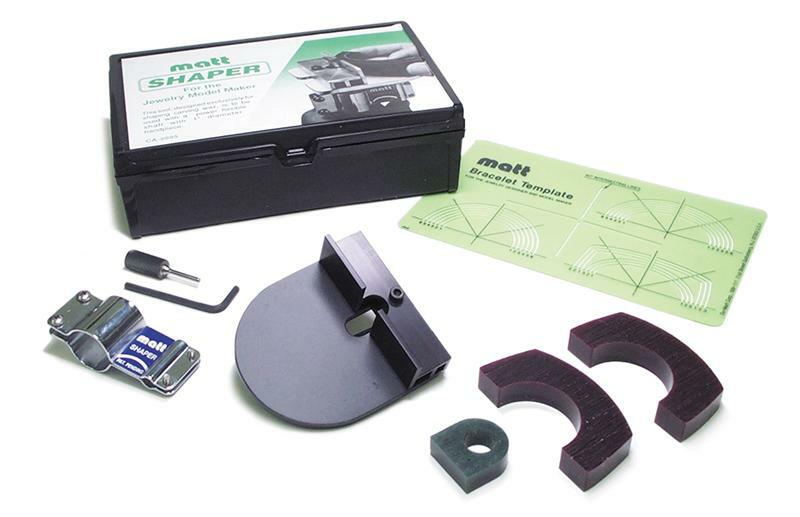 Matt Shaper attaches directly onto a flex shaft for fast and precise carving of all kinds of bangles, hinged bracelets, belt buckles and pendants. The wide table allows for ideal support for shaping large pieces and is also adjustable for different angles. The removable fence regulates the depth of cut, allowing a smooth, safe operation when cutting channels.